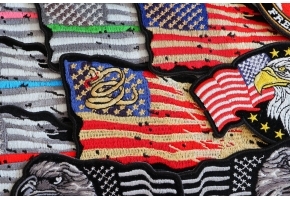 This is a subdued US flag patch in black and white colors. 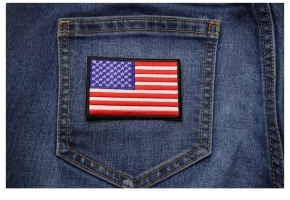 The US Flag patch measures 3x2 inches. There are many different U.S. Flag Patches on The Cheap Place. Some present Old Glory in a different way, such as on a piece sign. Others are the basic three by two flag. Some are reflective, and some have words on or above/below the flag. 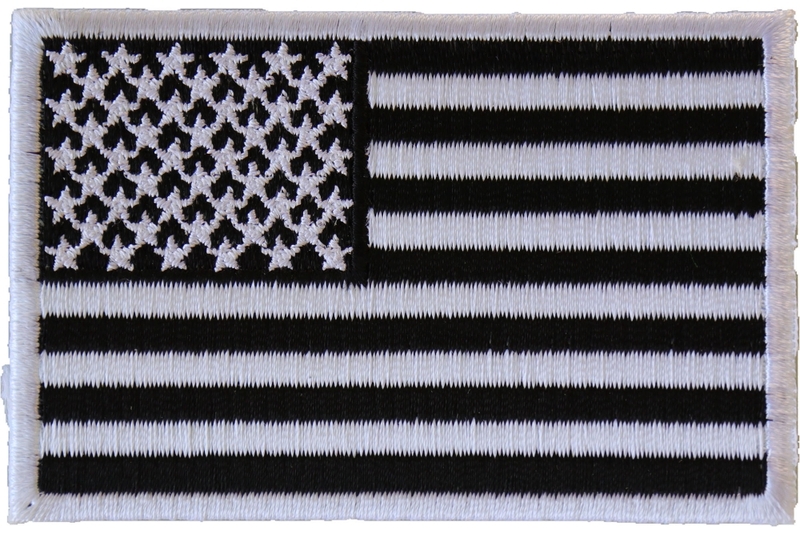 This Subdued Black White American Flag Patch is a bit different because it's in black and white. It's a nice patch for those who are going for a low key look. It's not incredibly colorful, but if you put it on a black jacket, it will definitely stand out. This American flag patch features the correct number of stripes (13) and stars (50). All it's missing is the color. Why would someone want a black and white flag? There are a number of reasons. Some people want to make sure their jacket patches match, so they go with a color scheme. Black and white is one of the easies themes to match. Some people just like the combination of black and white over color. 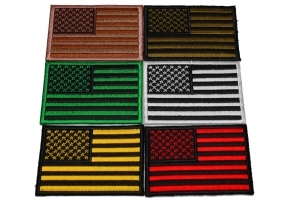 This patch measures three by two, the standard measurements for a flag patch. It is embroidered and has a plastic iron-on backing on the back side. You can also sew it on to leather clothing. 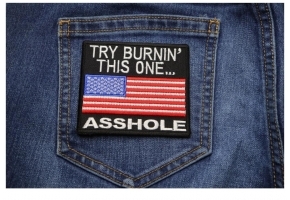 This patch is great for decoration or for covering a rip in your favorite pair of jeans. 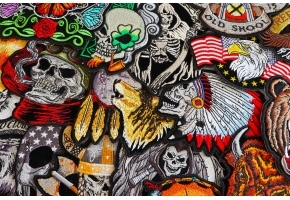 It's just one of a number of black and white in stock patches you'll find on The Cheap Place.